All the talk coming out of the Texas legislature this week has been about the birther bill introduced that would require presidential and vice presidential candidates to share with the Texas secretary of state their birth certificates in order to run. FHQ isn't here to debate that bill so much as point out that it has overshadowed another bill that was filed this week; one that would shift the state's presidential primary from the first Tuesday in March to the first Tuesday in February. State representative, Roberto Alonzo, as he did prior to 2008, introduced a bill to enhance Texas' impact on the presidential nomination process. Of course, that 2007 bill, pushed by Democrats, got bottled up in committee -- a committee controlled by Republicans -- and Texas stood pat in March. That maintenance of the status quo actually worked well for both parties. Texas was among the states that put McCain over the top in the Republican nomination race and helped Clinton stem the flow of Obama victories after the February 5 Super Tuesday (effectively keeping the contest going). The 2011 version of the bill (HB 318) is simply a repeat of what happened in 2007. Same Democratic sponsor, same Republican-controlled committee and same goal: Move the primary from March to February. 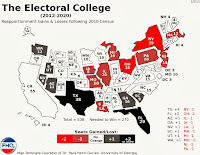 What has changed, however, is that the national parties have a different set of rules regarding the timing of primaries and caucuses in 2012 than they did in 2008. Both parties are in agreement that only Iowa, New Hampshire, Nevada and South Carolina can go prior to March 2012. All other states, according to the rules drafted and accepted by both national parties, are required to hold delegate selection events in March or later. On at least one level, those rules make this Texas bill moot. If every other state outside of the exempt states is holding their primary or caucus on the first Tuesday in March or later, then Texas is already positioned on the earliest possible date. However, as FHQ has attempted to point out since the parties began drafting their rules for 2012, this is something that isn't necessarily be easy. In any event, it is a decision -- shifting the date on which a state's primary or caucus is scheduled -- that is fraught with problems. First of all, with all other factors held equal, the national parties have still not developed a successful incentive or penalty regime to prevent states from ignoring the rules and scheduling their contests outside of the required timeframe. Taking away half of a state's delegates (or all of them) did not deter Florida (or Michigan) from breaking the national party rules in 2008. 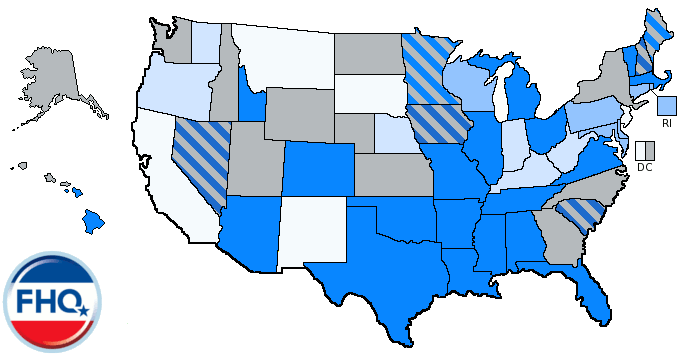 In fact, both states are still scheduled to have February primaries in 2012, given current election laws in both states. The expectation here at FHQ has always been that the states that are currently outside of that timeframe for 2012 would be where the action was in terms of primary/caucus movement. Yet, states currently in compliance with those timing rules can opt to position their primaries on dates that are in violation of those rules as well. Texas is in that group. The second set of issues concerns partisanship within the primary date-setting bodies on the state level. Typically, it is the party outside of the White House that tinkers the most with its rules (see Klinkner 1994). In other words, Democrats intent on reelecting President Obama are less interested in shifting the dates on which their primaries or caucuses are scheduled than the Republicans who have a competitive nomination race. In Texas in the case of this bill, that notion is turned on its head; particularly if the same thing that happened in 2007 happens again in 2011. The bill is being sponsored by a Democrat, but the state legislature and the governor's mansion are controlled by Republicans. Those Texas Republicans may opt to go along with the national party rules, but they may also be tempted this time around to flaunt those rules and attempt to give Texas an outsized voice in the Republican nomination race by moving forward. As such, HB 318, is one to keep an eye on as the Texas legislative session progresses next year. Are you following FHQ on Twitter and/or Facebook? Click on the links to join in. Maximize one's gains or solidify what one already has? There have been a couple of good pieces I've read over the last couple of weeks that encapsulate the dilemma that faces those in control of the redistricting process. Carl Bialik dips into the political science literature and finds while redistricting has an impact, it is limited by a host of factors. Aaron Blake hits on some of the same themes, but does so through a case study of the dilemma facing Republicans in Texas. Given the GOP's run through gubernatorial and state legislative races two weeks ago, the party has a distinct advantage in a series of states where they control the redistricting process. That said, those state governmental advantages may have a limited impact due to the question posed at the outset. The temptation of the former is tough to resist for any party that has unified control of a state government, but the latter is a pragmatic option that offers a safer and longer term effect. None of this is to suggest that the Republicans won't gain seats as a result of their victories on the state level. Rather, the point is merely to highlight the fact that parties with unified control of their state governments can only carve out so many additional districts for themselves before they begin to hurt the incumbents of their own party. That goes for Republicans and Democrats. If you're looking for answers to why what happened in last week's elections happened, the early political science perspective is beginning to emerge. Eric McGhee, Brendan Nyhan and John Sides have a rundown of the elections up at the Boston Review. Tom Harkin and the 1992 Democratic nomination are ancient history. FHQ is as guilty as most in the 2012 gazing. [We've been doing since November 2008.] However, this speculation on Mitt Romney and New Hampshire seems misguided to me. Yes, it is way too early and yes, that lead Romney holds in the Granite state may not hold over the next two years. Yet, even if it does, it would be suicide for any of the prospective Republican candidates to skip the state. This has not happened since 1992 when Democratic candidates opted to cede Iowa to favorite son, Tom Harkin. Actually it has happened. Rudy Giuliani skipped Iowa, New Hampshire, Nevada and South Carolina to focus on Florida. And how did that work out? Not well. Once McCain won the Sunshine state primary on January 29, 2008, Giuliani was done. Why pass up a chance to put a major kink in the Romney armor in early 2012? Look, Karl Rove's "attack you opponent's strength" is now among the dominant strategies in campaign politics. To pass up challenging Romney in New Hampshire is to pass up an opportunity to completely undermine his presidential candidacy. Let's not forget that running for president is about winning, but depending on the cycle winning is defined differently. In a George W. Bush in 2000 type of race, it is about overwhelming your competition on your way to the nomination. In more competitive races, though, it is important to win, but also important to beat expectations. 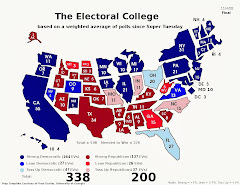 The Republican nomination race in 2012 will be competitive, and the expectations -- given the polls of the state that have trickled out since 2008 -- Romney is "supposed" to win handily. Of course, Bill Clinton was "supposed" to get swamped in the Granite state in 1992. Yet, all we talk about is his comeback and second place finish. Who won that primary? Why President Paul Tsongas, of course. No, Tsongas didn't win the 1992 Democratic nomination despite the win in New Hampshire. Bill Clinton did and taught us a valuable lesson about expectations in presidential nomination races. Obama wasn't supposed to win Iowa in 2008, but he did by seven points. McCain was supposedly done in the summer of 2007, yet his fourth place finish -- given the resources he had spent in Iowa -- was seen as a fairly good result. John Edwards had to win South Carolina in 2008 after winning there in 2004. But he didn't and that was a damning indictment on his candidacy. Yes, these are all examples from 2008, but the premise can be extended to other cycles as well. Expectations matter in the context of presidential primaries and caucuses and will continue to matter. 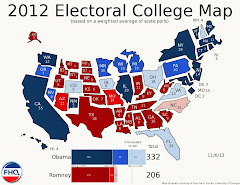 The expectation in November 2010 is that Romney is going to win in New Hampshire in 2012. There's a long way to go and Romney may win in the Granite state, but how much he wins by in a competitive race (for the nomination) will have a say in who the eventual nominee is. Justin Levitt, writing over at Election Law Blog, has the scoop this morning on the impact yesterday's state legislative races will impact the redistricting process over the course of the next year. The bottom line: Republicans are now in control of the redistricting apparatus states with 189 congressional districts to be drawn. And there are still 68 seats yet to be categorized because the results are not clear yet. The focus was on the House, the Senate and the gubernatorial races last night with an occasional nod to redistricting, but that last item really is the big thing coming out of yesterday. FHQ will be out and about tonight following the action and commenting on Twitter. Yeah, there's always the sidebar widget on the right, but I'll go ahead and embed it in its own post. Buckle up, folks. It will be a fun ride tonight.